Collapsible D is the eighteenth to be launched. At this point during the night the panic among the passengers had become severe. Water was starting to pour over the sides and onto the promenade deck just below the bridge. Testimonies later state that warning shots had been fired in the vicinity of collapsible D, and that the crew had to link their arms together to keep groups of men from rushing into the lifeboat. The "women and children first" order was becoming irrelevant. Counting collapsible D, only 3 of the 20 lifeboats were left, and Titanic was sinking faster and faster. 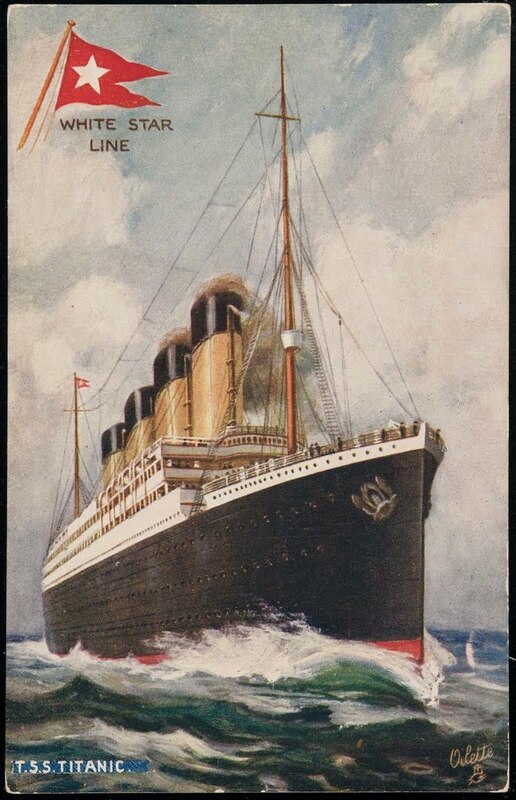 as depicted in James Cameron's film "Titanic". Just like the case with lifeboat 4 earlier, Titanic's slight list to port was making the loading of collapsible D difficult due to a gap that formed between the ship's deck and the lifeboat. Passengers would have to jump across the gap and into the lifeboat. This was a daunting task for some people. While loading, Chief Officer Wilde ordered 2nd Officer Lightoller to man the lifeboat, but Lightoller refused, and stayed aboard the ship. Quartermaster Arthur Bright was put in charge, and the lowering of the lifeboat commenced. The descent was short, due to the fact that the sea was only about 10 feet from the deck where collapsible D was located. First Class passengers, Hugh Woolner and Mauritz Bjornstrom-Steffansson were standing on the promenade deck beneath collapsible D. When the water started to flood the deck, the two jumped aboard the lifeboat just as it was being lowered past them and about to make contact with the water. Once on the surface, another first class passenger, Frederick Hoyt was pulled from the water and into the lifeboat. The people aboard collapsible D immediately began to row away to avoid any possible suction. and leaves Titanic with 23 out of 47 seats occupied.